In Greek mythology, Satyrs were considered forest Gods, creatures who were half man and half beast. Most commonly depicted as having the upper body of a man with the lower body and legs of a horse, the Satyr has long been a familiar figure in myth and legend. But is it possible this creature actually existed? In Hebrew, the translation of Satyr is faun or “he goat.” This fits hand-in-hand with Roman mythology which sees the Satyr as half man/half goat. This mythical beast has made an appearance, in one form or another, in most every culture. Some believe Satyrs have the ability to shapeshift, and others, that they roam the spirit realm as well as the physical. 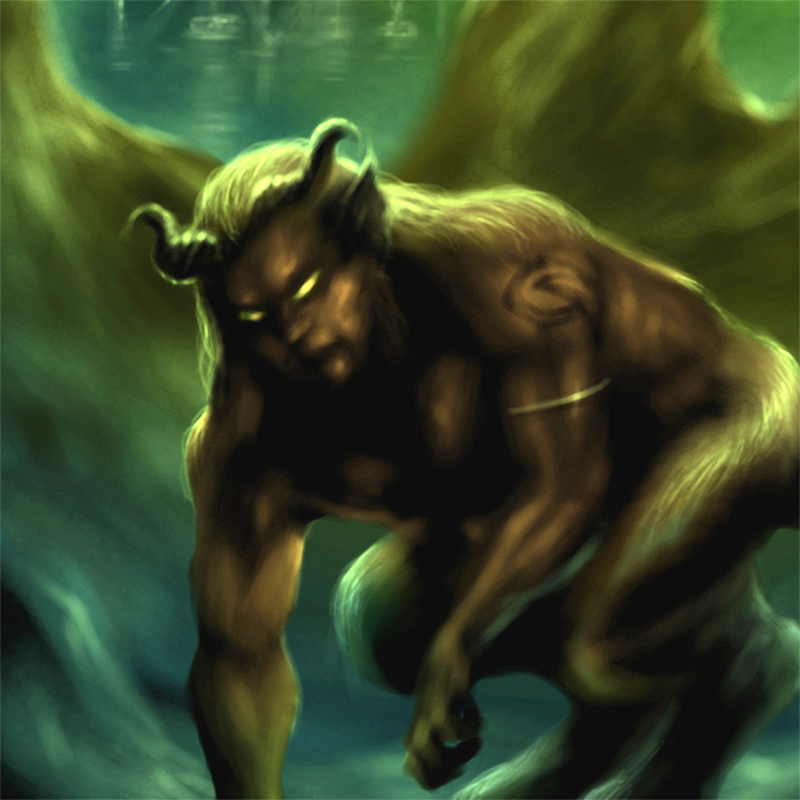 In the 1970s a connection was drawn between Satyr-type beings and UFOs. Case in point: In the town of Roachdale, Indiana, in August of 1972, a family named Rogers encountered a creature that could be deemed a Satyr. It began when one of the Rogers saw a luminous object hovering above a cornfield. Upon investigation, one of the men caught a glimpse of a heavily built creature moving among the cornstalks. Mrs. Rogers reported seeing a creature through the window of her trailer. She described the nocturnal visitor as standing like a man, but running on all fours. Sightings continued for a period of days, reported by the Rogers and several farmers who resided in the area. The sightings always took place at night, most agreeing the creature was covered with black hair and had a repugnant odor “like dead animals or garbage.” Several said that the beast appeared to lack substance, as if it was spirit, or moved between worlds. Others said it left evidence of trampled grass behind, and many of the farmers reported finding mutilated chickens. One farmer found the feed he reserved for his pigs, picked clean of cucumbers and tomatoes. The chickens, though mutilated, were left uneaten. Given Satyrs are beings of the woodlands and forests, this doesn’t strike me as odd. The creature was chased, and even fired upon at close range. Those doing the shooting insisted they had hit their target, but the beast appeared unhurt, and fled. Could this ancient creature have lived as far back as the days of Isaiah, in 740 B.C., only to materialize in the twentieth century, perhaps even today? Some believe Satyrs possess the power to disappear, and reappear in other places. Is it possible that ability allows them to transcend time as well? Our world is old, its mysteries older still. How intriguing some of those secrets are as mystifying today as they were in the age of the latter prophets. Do you think Satyrs once walked the Earth? Do you think they possibly exist in some obscure area today? This entry was posted in Legends, Mythical Monday and tagged Biblical, Book of Isaiah, Latter Prophets, Mae Clair, Mythical Monday, Old Testament Prophets, Satyr, UFOs by Mae Clair. Bookmark the permalink. If Satyrs are creatures of the mind, they can live anywhere. Like Tinkerbell, as long as one person still believes… Do we give credence to Norse legend, and accept the existence of separate worlds within, or linked to, our own? It is nice to dwell in a place where all that prospers is not seen, or heard, or known, before the watches of one dark winter’s night…. Interesting that you should mention Norse legend, as I’m a huge fan of those myths. Also your take on all things mythical… So beautiful and poetic. I want to wallow in the imagery. You always leave me giggling with your “food for thought.” 😃 Weird that you should mention the cucumbers and tomatoes because I got hung up on that, too. Somehow a veggie satyr doesn’t seem all that scary, LOL! I think many of the things included in the Bible or other old writings may be seen or read with other eyes, if I can say so, taking into consideration all the knowledge and info pouring over us: the existence of parallel universes, the folded universe, the wormholes allowing rapid travel into other worlds, the existence of water on Mars, alien bases on the moon, the string theory and dark matter. Whew! Regarding satyrs, all l know apart from what you mention here, is that in myths they are often associated with pipe-playing. I so love your posts that may be one day will prove to be not only myths and legends but the real mankind history. Another very interesting post, Mae. I find the Greek legends of satyrs appealing, with all that leaping about in olive groves overlooking the brilliant Agean. I also love how they are supposed to be so fond of music and so skillful at playing it. I can understand that they might prefer the salad items, a pity there was no evidence to suggest the mystery creature drank a glass or two of red wine along with it. I love that image of them frolicking in olive groves, Daisy. And you’re so right that a glass of red wine would have made that salad all the more tasty. You have me craving spring now, with those images! Good morning Mae! Satyrs and the mythology surrounding them have always intrigued me. However, I didn’t know that someone spied a close resemblance of one in Indiana, a state many of my ancestors resided in. Makes me want to hop a plane and visit the eastern states for a month or two… (summer only).Fun post that stirs the imagination! Yes, I think all these different kinds of creatures and beings exist on some plane or level or dimension that frequently bumps and phases into into our own, if we think of our own as known reality. I’m not so certain we have a good grasp on what we think is known reality, though. I think each one of us creates our external reality to a certain extent, along with the shared reality we inhabit, and few things are out of the realm of possibility. We may stick to the straight and narrow without using our peripheral vision, but that doesn’t mean the supernatural isn’t off to the side of us all the same. I love reading about satyrs and anything in Greek mythology– thanks so much for the post. Sorry for the late visit; the working week has been manic. These alien satyrs sound kind of revolting. I wouldn’t like to encounter a creature that smelled of rubbish and rot. While I can’t say I believe such beings ever walked this earth, I like to keep an open mind.